The lifecycle of the wolf is intrinsically woven with the cycles of the wilderness, its populations ebbing and flowing with those of its prey, thriving and languishing throughout the countless millennia of its life on this continent. The wolf’s power and mystery, combined with the warm familiarity of its reliance on community, embody the sharp contrasts of life in Canada. 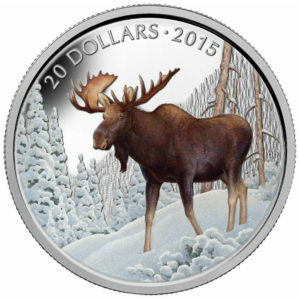 SKU: 122290 Categories: 2013, Under $25, 1/4oz, Nature & Wildlife, Animals, Series, RCM Silver Tags: 1/4oz, 20 for 20, 2013, 27mm, Animals, Canadian Coin, Collectible, Glen Loates, Released Apr-13, Royal Canadian Mint, Silver Coin. 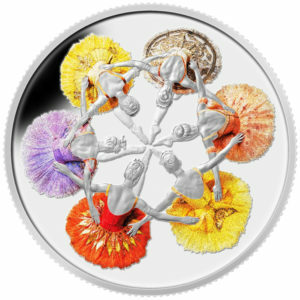 This fine silver coin is certified to be 99.99% pure silver with a diameter of 27 millimetres and a metal weight of 7.96 grams. The reverse image by Canadian artist Glen Loates depicts in dimensional relief a wolf that seems to lope toward the viewer. The large canine’s riveting eyes focus daringly on the viewer, its forepaws bent back to meet its hind feet and large head lowered in the animal’s characteristic running gait. The wolf’s thick fur, pointed ears and short, square muzzle are engraved with stunning realism. Its dense, bushy tail swings out behind it. Its sharp claws help it gain traction on the surface upon which it maneuvers with exceptional agility. The reverse is engraved with the word “CANADA,” the bilingual purity standard “FINE SILVER/ARGENT PUR 9999,” the date “2013,” and the face value of “20 DOLLARS.” The obverse features the effigy of Her Majesty Queen Elizabeth II by Susanna Blunt. 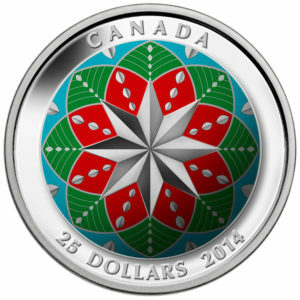 – The eighth coin in the Royal Canadian Mint’s highly successful, fine silver (99.99% pure) 20-Dollar coins offered at $24.95.The Wolf. 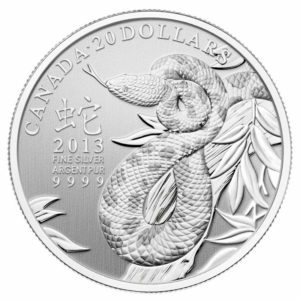 – High collector value – previous coins in this series sold out rapidly.